The agency will manage communications and the launch campaign for the brand's second anniversary. SINGAPORE: Restaurant-booking platform Quandoo has appointed Singapore-based W Asia as its PR partner. 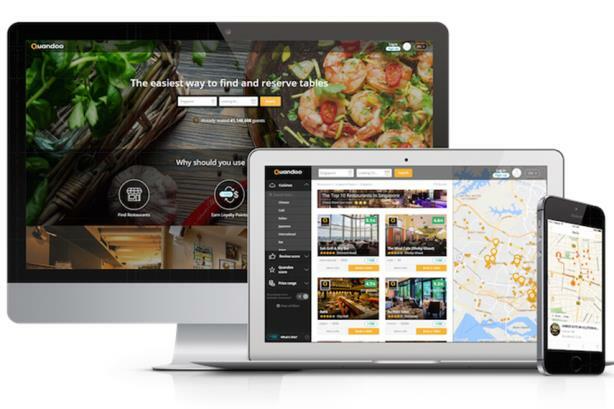 With a presence in more than 360 cities in 17 countries, Quandoo has more than 1,000 restaurant partners using its platform. W Asia will advise on promoting Quandoo’s brand positioning of "being ahead of the curve," and also launch a campaign for the brand’s second anniversary, which involves a pop-up restaurant experience. Annabel Fox, MD of W Asia, said Quandoo is a forward-thinking brand with excellent standing in the restaurant scene, "Giving us a great opportunity to bring to life its key offerings." Konrad Richter, GM and founder of Quandoo, said W combined understanding of the local landscape and wider strategic and creative thinking.